In summer's sweltering heat, nothing refreshes quite like a dip in the lake — except maybe an icy cocktail. 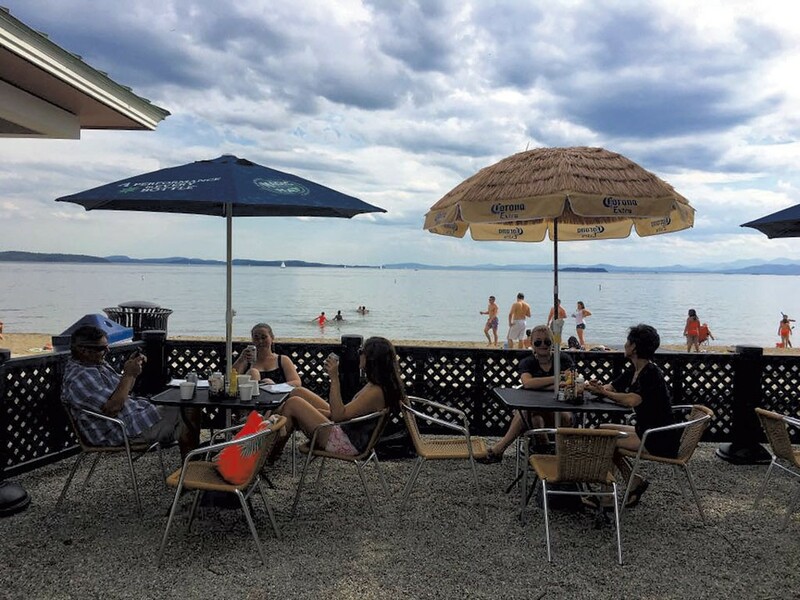 As of Saturday, visitors to Burlington's North Beach can get both: Amir Jusufagic and Sani Pasagic, co-owners of the Beach House concession, have begun dishing out boozy bevvies from a tiki-style bar. Last summer, the city granted the duo permission to complement their casual snack-bar-style fare with beer and wine. This year, they added cocktails such as a house margarita and the Painkiller, made with dark rum, crème de coconut, pineapple and OJ. Jusufagic and Pasagic also ditched last summer's fried freezer snacks in favor of weekly changing panini, fresh salads, and pizzas topped with San Marzano tomatoes and farmers market veggies. "I've got a little conveyor oven, and Rhode Island-based the Pizza Gourmet is baking flatbreads for us," Jusufagic said. The lakefront location's bare-bones kitchen limits the prep work he can do on-site, he added. Jusufagic and Pasagic individually own the Church Street food carts Amir's Kebab and Wicked Mountain Hot Dogs, respectively, and co-own Junior's Downtown, which will become a Piesanos Stone Fired Pizza franchise later this month, Jusufagic said. The co-owners took over the beachfront eatery in 2013 and have toyed with their menu concept ever since. "It's a work in progress," Jusufagic told Seven Days. For now, he's glad to help liven spirits from 10 little tables on the beach. "I just want people to come in their flip-flops and enjoy the view," Jusufagic said. The Beach House is now open for sips and snacks daily from 1 p.m. until the park closes at sunset. The original print version of this article was headlined "Life's a Beach"